RIVIERA DOGS: Bichon or bichon? 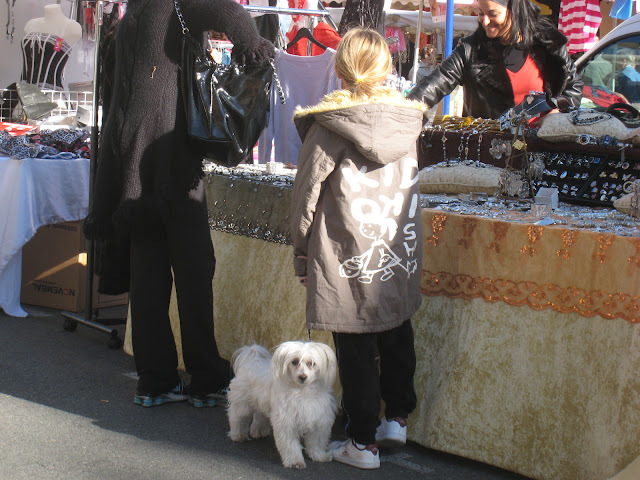 We at the Saturday market in Menton today. This market is held outside the main covered market. 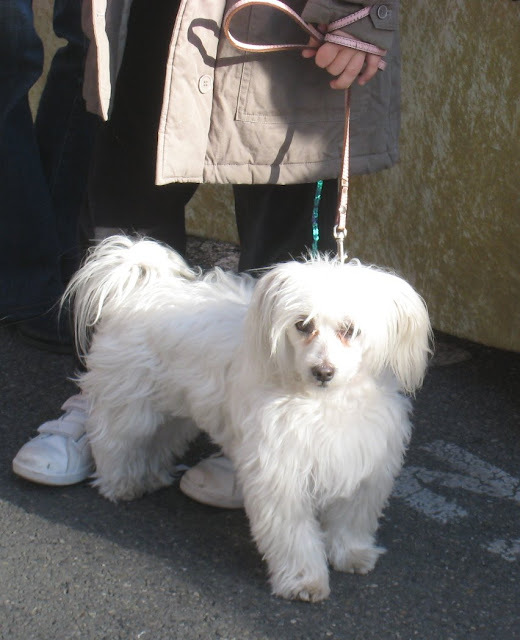 This little dog is a Bichon Maltais, I believe - what is called in other countries, a Maltese Terrier. It's hard to tell - perhaps it's a Bichon Frisé but with rather a straight coat. Anyway she's cute. What a sweet dog but I do think she is a cross between a maltese and something else. Lady J, I think you are right. She's all wrong even for a badly clipped bichon maltais. Perhaps crossed with a Yorkie or even a Papillon. Who knows? Cute anyway.